Fraxinus lanuginosa, commonly known as Japanese Ash or Tamo, is native to Japan and the south east corner of Russia. Fraxinus lanuginosa is a deciduous tree with a round habit. Its mid green leaves are opposite, odd pinnate, up to 15cm long with up to 7 leaflets. Its leaflets are ovoid with serrulate margins, up to 7cm long and 4cm broad. 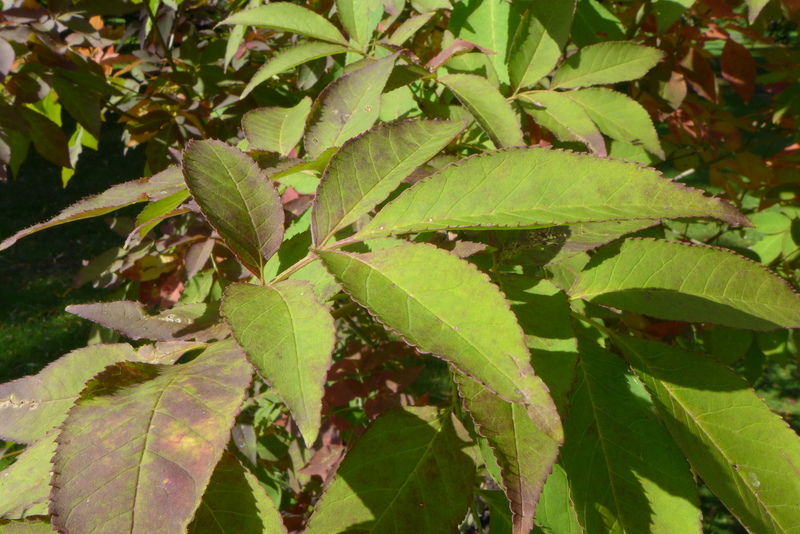 Its leaves turn yellow to purple in autumn before they fall. Its trunk may achieve a diameter of up to 50cm. Its bark is dark grey and smooth. Its cream/ white flowers are produced in panicles, each flower is composed of four petals and are up to 7mm long. Its fruit is a sumara which is up to 4cm long and 5mm broad, it is initially reddish ripening to brown. The etymological root of the binomial name Fraxinus is from the ancient Latin name for this tree. Lanuginosa is derived from the Latin lanugo meaning ‘downy’. 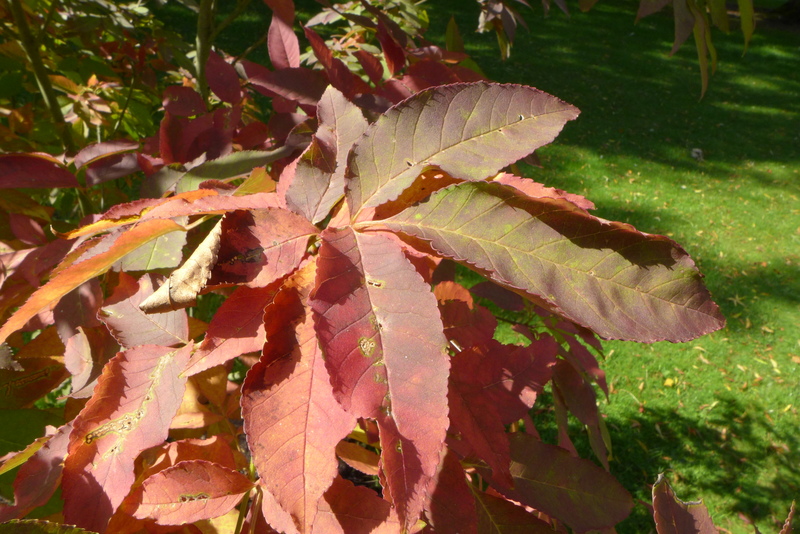 The landscape architect may find Fraxinus lanuginosa useful as an attractive parkland or street tree with attractive flowers and autumn leaf colour. This tree is tolerant of urban pollution. Ecologically, Fraxinus lanuginosa flowers are attractive to pollinating insects. Its fruit are attractive to some birds and mammals. Fraxinus lanuginosaprefers moist, fertile, well-drained soils. It tolerates most pH of soil. Fraxinus lanuginosa requires little maintenance. Necessary pruning should be carried out in late winter.